We decided if we ever open a family bakery this will be its name. I think it has a fabulous ring to it and baking for a living doesn’t sound nearly as farfetched as it once did. My husband has always been the cook and a baker. Chocolate chip cookies are his specialty. I, on the other hand, have only specialized in being the cleaner upper in the kitchen. And a mighty fine one at that. He cooks; I clean up the mess. It’s been our thing for over twenty years. Oh no, he hasn’t started being a kitchen cleaner upper any more than I have become a cook. But I have officially joined him as a baker. And my specialty is bread. Though I have provided for my family in countless other ways, I have only recently experienced the joy of providing for them through the smells and tastes of delicious food. Just as I can count on my husband (and now my daughter) to whip up a batch of cookies whenever the craving strikes, my family counts on me to make the bread. It has been surprisingly satisfying to enjoy the fruit of this creative labor of bread baking. I have already mentioned how fond I am of my grandmother’s strawberry jam on Amish white bread. And my husband and son enjoy this Whole Wheat Honey Oatmeal Bread. Both are a labor of love and bread baking has become an integral part of my Sunday afternoon. 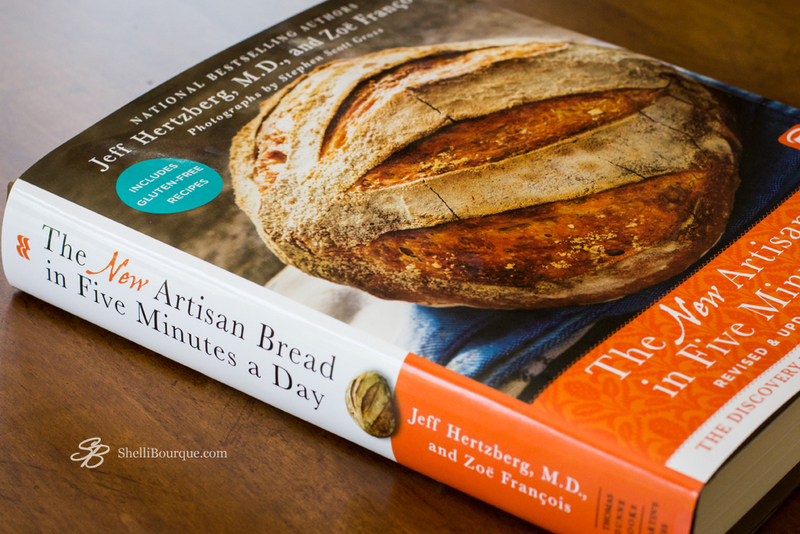 Along the way, I learned of a book that teaches how to make artisan bread. If you’ve ever wanted to try making bread but were worried about the labor part of this labor of love, run, run, run and get yourself The New Artisan Bread in Five Minutes a Day*. 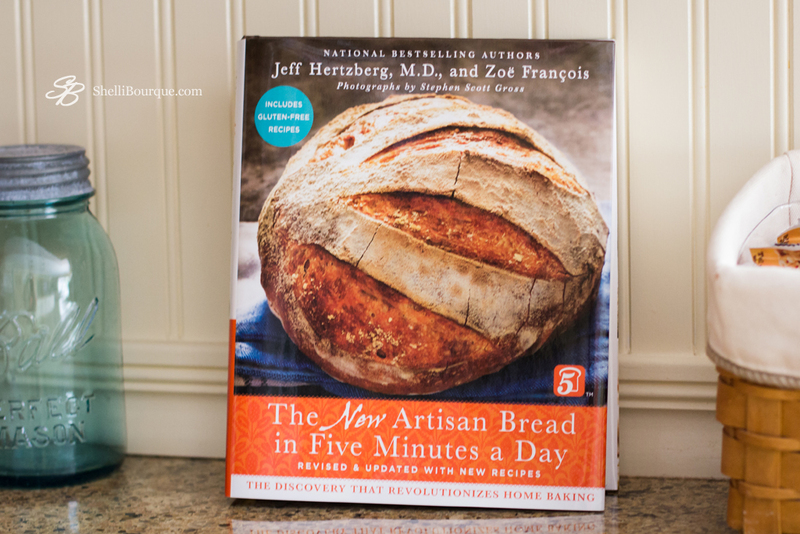 The authors are not exaggerating in boasting delicious bread in five minutes a day. 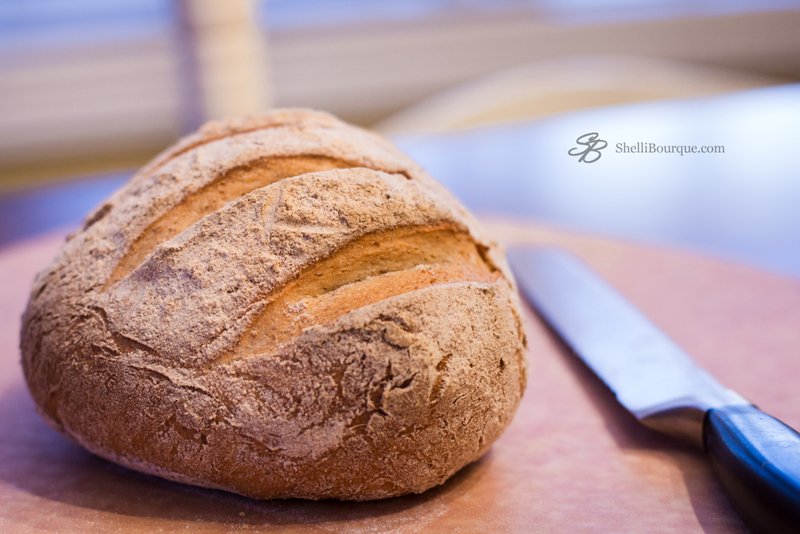 It’s not microwave fast, and it does not include the rise and bake time, but after you make a batch of dough (which might take you all of ten minutes) you can make a loaf of bread with hands-on work of only five minutes. For real. 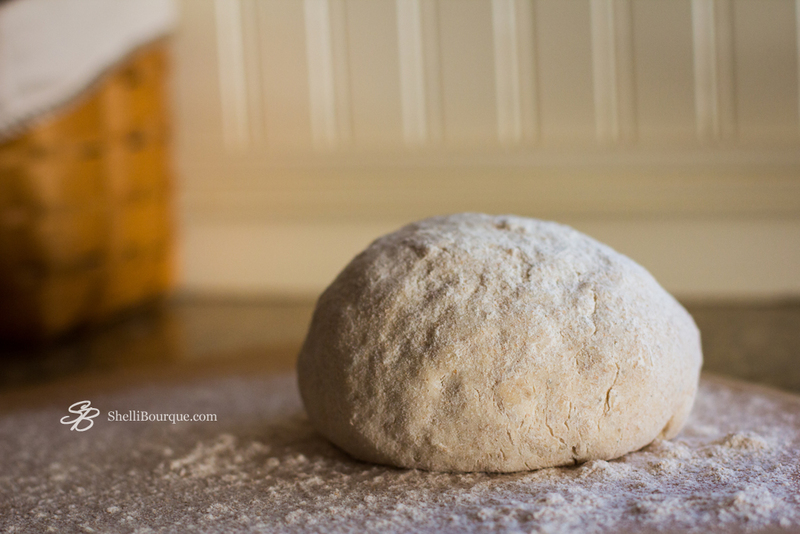 I’ve already made the classic boule, dinner rolls, and ciabatta. I’ve tried the beginner’s master dough recipe and my family gobbled up loaves of light whole wheat bread. Now that I’ve gotten some rye flour I’ve made this first batch of European peasant bread. Baguettes, flat breads, pumpernickel—here I come. Since it is highly unlikely a business venture is in our future, we’re affectionately calling our kitchen Boulangerie de Bourque. Do you enjoy baking? What is your favorite recipe? Do you have a favorite way to provide for your family? Have you ever been surprised by a new interest in the least expected place?